Many would say that Saab was a latecomer to the car business. 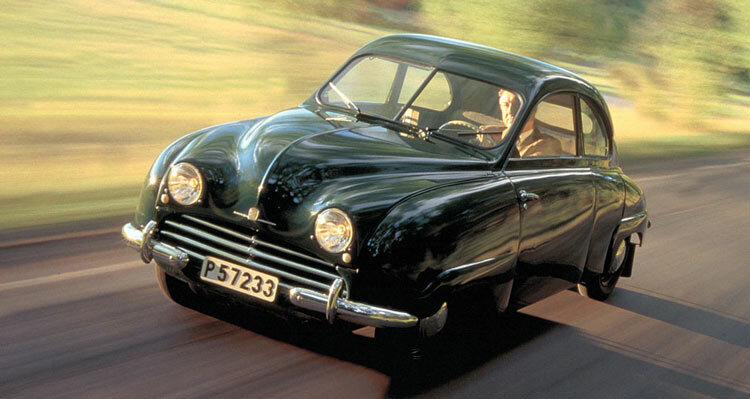 Saab started building automobiles in 1949. Previously an aircraft company Saab brought their design and aerodynamic background to their line of cars. We have a nice selection of Saab brochures and booklets, but we are still searching for more. The Saab 92 was the first production model for the new automaker. The Saab had a unique look in part from the aircraft design influence. Saab introduced the 93 to the world in 1955. The Saab 93 was powered by a three-cylinder engine and featured a fastback design that made the Saab standout from the crowd. By the end of the 1950’s Saab also built the model 95, which was capable of seating seven passengers. Early Saab brochures are little tough to find but we are finding them now and then. Saab also built their version of a sports car, the Saab 93 705 Gran Turismo from 1958 to 1960. Some would say that Saab really got started in the 1960’s when they introduced the Model 96. The Saab 96 was one the most successful Saabs ever produced and it had a good run for 20 years before it was put to rest. Saab introduced the world to their Saab Sport Coupe and began winning races on the track that earned Saab respect among those in the know. Saab introduced the Saab Monte Carlo 850 to take advantage on the success they had on the racing circuit. Fortunately we do have Saab brochures that go back to the 60s and newer. 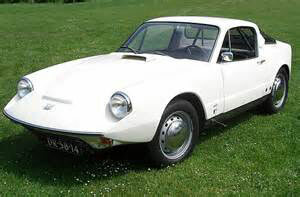 Saab continued to forge ahead throughout the 1960s with the introduction of the Saab Sonett II sports car that featured a fiberglass/plastic body. Then the Saab 99 was brought to market that introduced the wrap-around windshield, self-repairing bumpers, headlamp washers and side impact door beams. The Saab 99 was revolutionary and put the other automakers on alert. Saab set the bar high and will see what I mean when browse through the Saab brochures and sales literature found here. Saab continued offer new models over the next few decades that included the Saab Combi Coupe and legendary Saab 900 and eventually the 9000. The Saab had become the car of choice of young urban professionals (Yuppies). 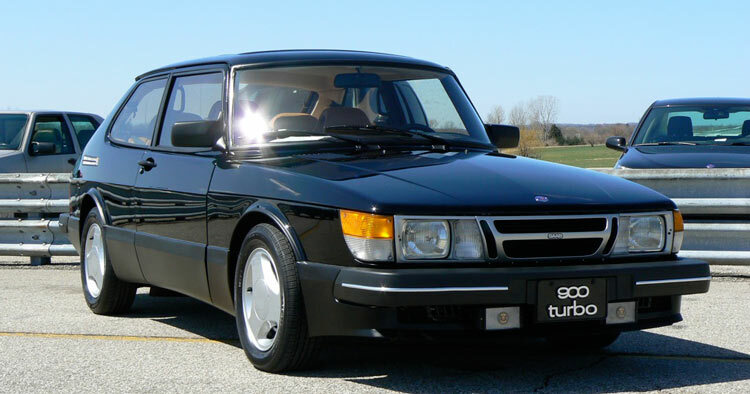 The Saab 900 was offered in more variations including a turbo, hatchback and convertible. In 1973, Saab gave birth to the 99 Combi Coupe. The car came to define the Saab brochures and brand; with its hatchback and fold-down rear seat it offered remarkable utility. By the end of the decade, Saab had rolled out the 99 Turbo, which was a forerunner in harnessing turbo technology for use in production cars. The company also introduced the Saab 900, which held the distinction of being the first car to offer a cabin air filter. Then in 1990 General Motors purchased 50% of Saab Automobiles and continued to improve the Saab line while adding cutting edge safety features and premium interiors. 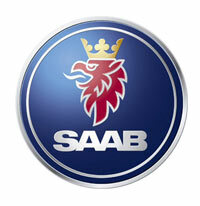 General Motors purchased the other half of Saab Automotive in 2000 and started using GM parts in the Saab vehicles. This is when the brand started slipping according to many enthusiasts of the Saab line, just look at the Saab brochures and see the changes. GM was using platforms and parts from of other brands and then they change the styling to what they thought would be more appealing. However the real Saab lovers said the line has lost its uniqueness and ultimately the Saab brand floundered for several years. When GM went through bankruptcy they tried to put a deal together that eventually failed and the Saab brand went bankrupt. However NEVS acquired the Saab assets and they are working on several vehicles that are suppose to be launched in 2017.